Whether you require maintenance & servicing for your workplace, factory or farm, Laser Plumbing Christchurch East will be there when you need us. We provide 'Totally Dependable' maintenance and servicing of commercial plumbing systems for clients across all of Christchurch's suburbs and surrounding areas. Maintenance and servicing is vital to ensure your workplace is safe and operating efficiently. A little leak might not seem like a big deal, but they do add up over time, wasting water and costing you money. We can provide a preventative maintenance schedule to reduce the expensive costs of repairs or replacements in the future. When unforeseen breakdowns occur, Laser Plumbing Christchurch East will be here when you need us most. 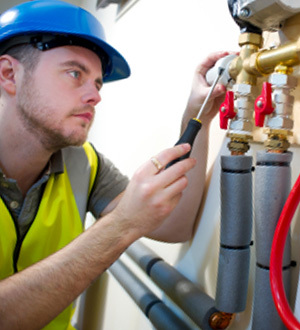 Every plumbing job is important to us and we will respond promptly to any callout, big or small. Whether your bathroom is flooded or you just need a toilet unblocked, you can rely on Laser Plumbing Christchurch East to provide a 'Totally Dependable' service. Laser Plumbing Christchurch East can take care of your commercial plumbing requirements, so please contact us to discuss your requirements.